Custom magnet with clip star can be favored for gifting by advertisers who wish to rule the hearts of their customers by offering them value, and trust. A personalized magnet with clip star can be handed out during any corporate meeting, share holders meetings, or any other corporate events, tradeshows, etc. 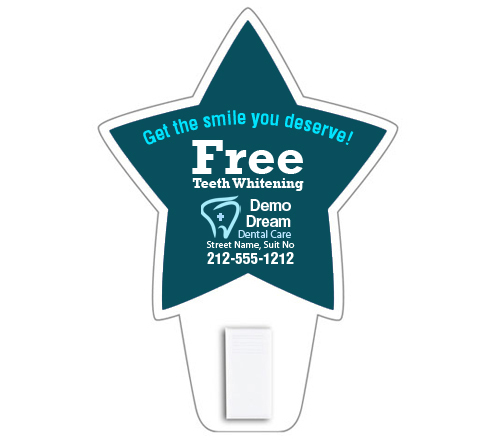 A promotional magnet with clip star makes a good brand building tool for advertisers who are starting out new in the field or wish to expand their business or build a loyal customer base. It stands a very rare chance of disapproval from any viewer due to its starry shape and high utility value.